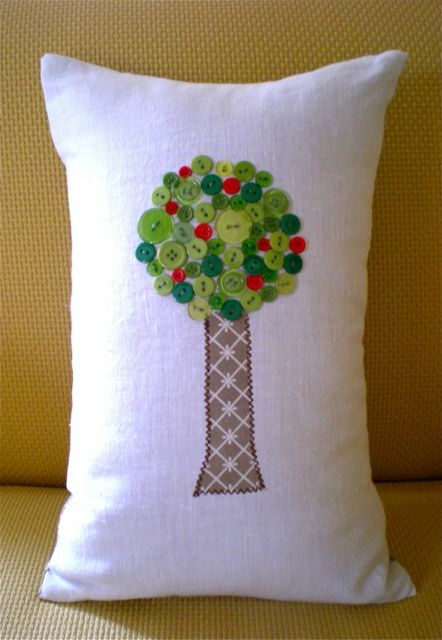 During my recent jury duty I worked on this button tree pillow while in the waiting room. 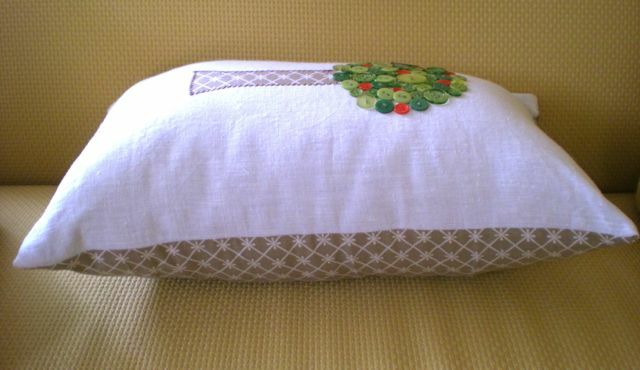 I sewed the buttons onto the linen at the courthouse, and then added the trunk and pillow back at home. (I found the printed cotton from a rummage sale years ago). I slipped the cover over a pillow I already had and hand-stitched the bottom closed. I got the idea from BHG.com. I think the BHG one is really nice because the tree is fuller, but that was way more buttons than I wanted to sew on by hand. Plus, I only had a certain number of green buttons. 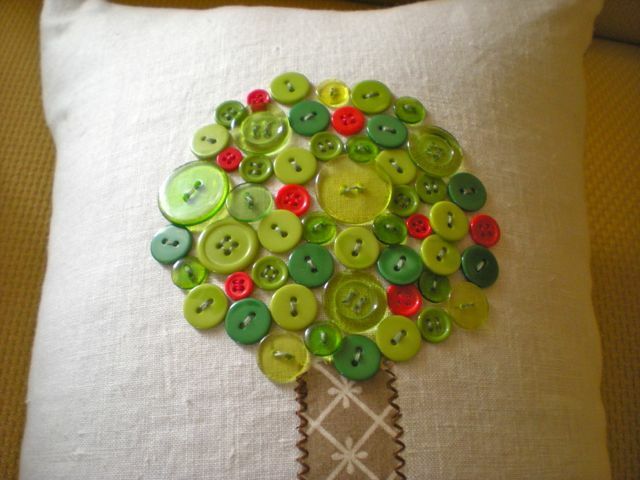 I wanted mine to look like an apple tree so I mixed in some red buttons. Here’s a close-up! I already had all the materials on hand so hooray for using up more stuff from my craft supplies stash! Super cute! Glad that you were able to use up more of your crafting stash. I should do the same! Thanks Lillian! This was easy to make and fun! Thank you! I haven’t had jury duty recently, but I did feel like I got a lot done at the time! I even started hand-sewing buttonholes on a vest after I did the pillow.